For Microsoft, 1976 was the first year with an official name, it was the first time Bill Gates raised the issue of piracy and we hired our first full-time employee Marc McDonald. 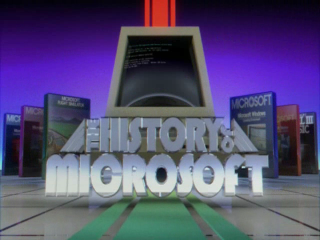 The History of Microsoft - 1976 Timeline. 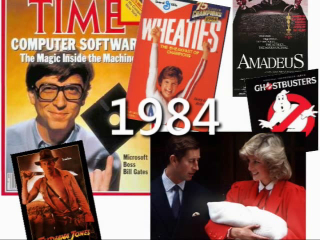 Bill Gates is the first programmer to raise the issue of software piracy. 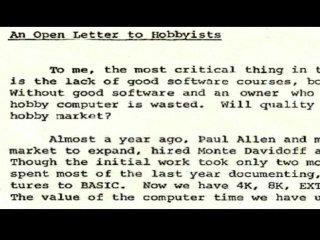 In "An Open Letter to Hobbyists," first published in Computer Notes, Gates accuses hobbyists of stealing software and thus preventing good software from being written. Bill Gates gives the opening address at the First Annual World Altair Computer Convention held in Albuquerque, New Mexico. Microsoft’s first advertisement appears in Digital Design magazine. Paul Allen resigns from MITS to join Microsoft full time. The trade name, Microsoft, is registered with the Office of the Secretary of the State of New Mexico. Microsoft leases official office space in the Two Park Central Tower Building at 300 San Mateo Blvd, N.E., Suite 819, Albuquerque, New Mexico. 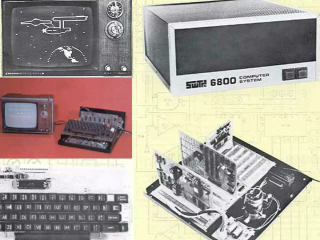 Shugart introduces a 5.25-inch floppy disk drive for $390, the first of this size for microcomputers. Three new magazines hit the stands: Byte, Computer Graphics and Art, and Dr. Dobb’s Journal of Computer Calisthenics and Orthodontia. A Viking spacecraft lands on Mars and sends back detailed pictures of a rocky, desert terrain. where can i get that interview with bill gates ? Great video keep them coming. Paul Allen's beard will never cease to amaze me. Some parts of the video are still in the wrong aspect ratio? Is it really that hard to get right? First of all I appreciate you watching this video. I hope you stick around for the entire series and have patience with us with respect to aspect ratios. Just to give you some insight. This series was shot in HD and currently our player doesn't support that format. 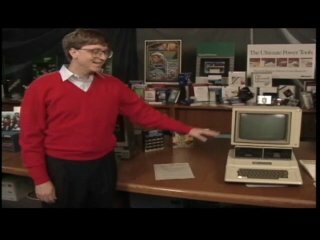 Clearly the Bill Gates stuff was shot 4:3. Thus, some inconsistencies. We are trying a few different things out but it's a bit complicated behind the scenes. As a team we are communicating daily about this process and are striving to bring you the highest quality content possible. My goal is to have you comment about our story and not how we present it and I can assure you we are working on it. Thanks again for being a part of the channel 9 community. This video series is really great. And, moreover, Tina is so beatiful !! Thanks Firas. 1977 will be airing tomorrow morning. Great vid. I didn't know Paul Allen came back to Microsoft. Interesting story about how Marc Mcdonalds got the number 1 employee badge when he came back to Microsoft. Fantastic video. How things have changed since then. Fair play to Gates, a lot of jealous people are hard on him but he has done extremely well for himself.